The Flaming Fish is here to blow your taste buds away again! 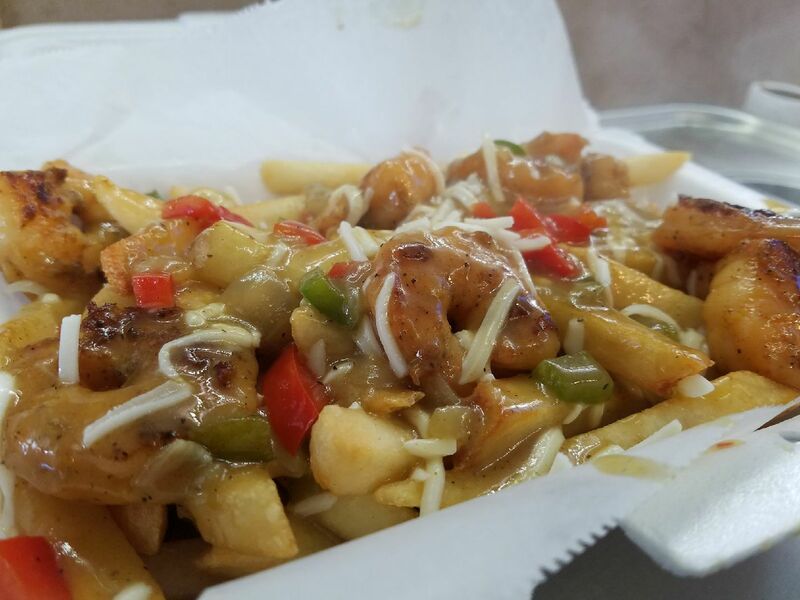 Check out our new Shrimp Poutine! No matter where it is from, this dish is perfect for the chilly, Canadian (and Buffalo) weather. With an abundance of potatoes in Quebes, as well as the wide availability of cheese curds, it is only natural that it became a popular dish. This dish was originally consumed in “greasy spoon” type diners, and pubs. They were also available roadside and at hockey arenas. Nowadays, poutine is found in all types of restaurants. How Is Poutine Traditionally Made? What Makes The Flaming Fish Different? Our poutine takes the classic taste and brings it up a notch. While still keeping true to the nature of the dish, we have switched cheese curds for shredded cheese and included shrimp and peppers into the mix. Find out for yourself why our poutine is already a big hit at the Flaming Fish Food Truck.